You can reserve a space with our EMS reservation system. You can login with your Banner/Blackboard credentials and see all of the rooms available across campus. 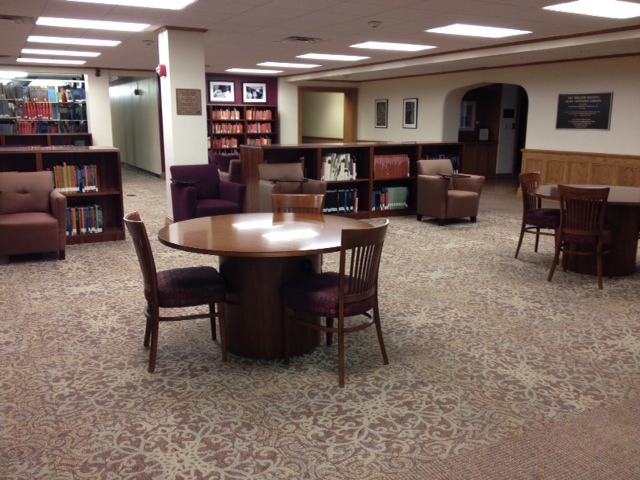 Choose "duPont Library" as your location to see all of available rooms and times. If you have questions, please call 598-1265. Six small group-project meeting rooms with 42-inch flat screens have been set up to allow users to wirelessly connect and display their computer screens. 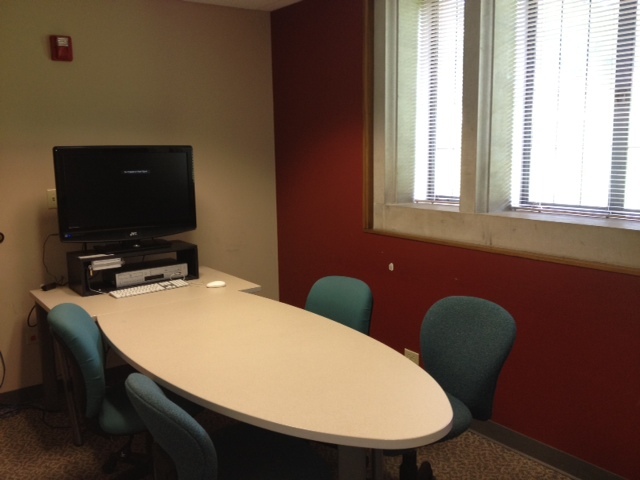 There is a seventh meeting space, duPont 138A, with a built-in PC, webcam, and 80-inch flat screen. 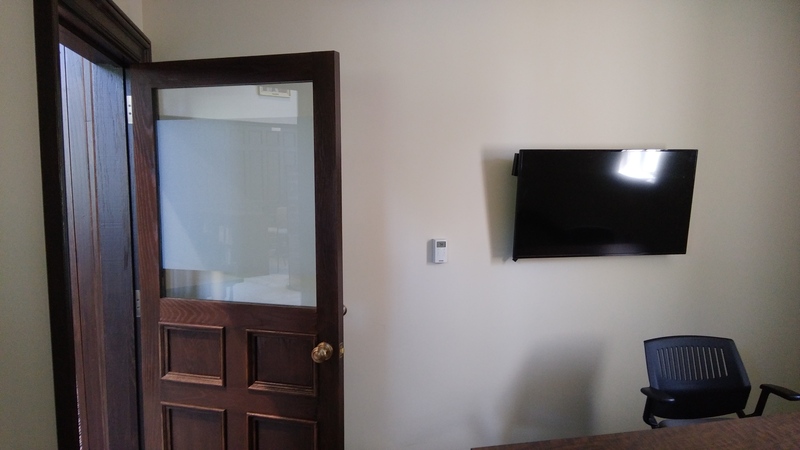 duPont 138A is designed to hold larger meetings in addition to meeting the space needs of the Writing Center and the Speaking and Listening Center. 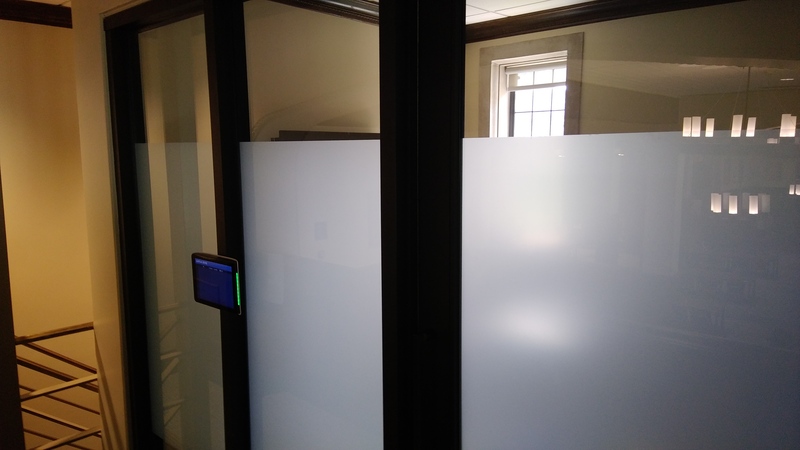 These spaces can be reserved using the touch-screen scheduling pads locate at the entry of each room. 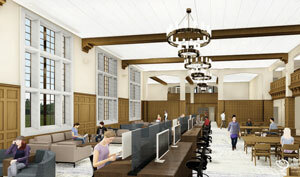 duPont Library has recently added 10 new All-in-1 PC Desktops and 10 new iMacs to accommodate the various computer preferences of the current student. There are also 2 Media-scape tables with dual displays that allow one computer to connect to both displays, or, up to four computers sharing the dual display. The Media-scape tables can seamlessly transition between the groups’ computers. For the student studying independently, the work tables in the Learning Commons have been refinished and updated with multiple power outlets in order to minimize the trip hazards of power cords across walk spaces. 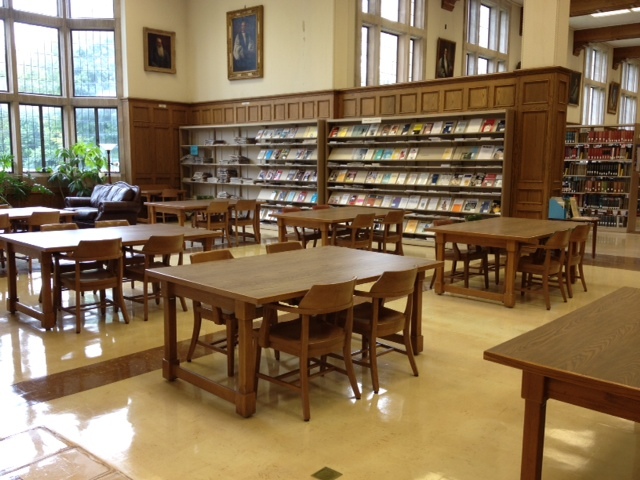 Finally, the renovation provided a great opportunity to upgrade the network infrastructure in the overhead areas of the Learning Commons and improve the performance of Sewanee-Secure and other wireless networks in duPont. There are a fe w hundred carrels throughout the library. Many are freely available on a first-come, first-served basis. Many others can be reserved with a partner for a semester at a time. The carrel sign-up is announced early each semester. For more information about carrels and carrel sign-ups, please call (931) 598-1664 or go to our guide on Carrel Sign-ups. 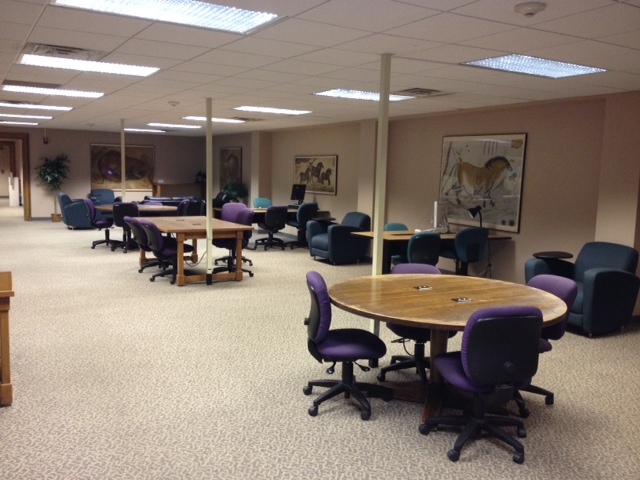 The library has several spaces to offer small groups of students who need to work or study together. Most of the spaces are equippe d with computing equipment and large displays. At least one or more spaces can be found on each floor of the library. Presently, these are available on a first-come, first-served basis. Students in the School of Theology have priority access to one of the group study rooms on the third floor of the building. If you have questions about using or reserving a room, please contact 598-1664. 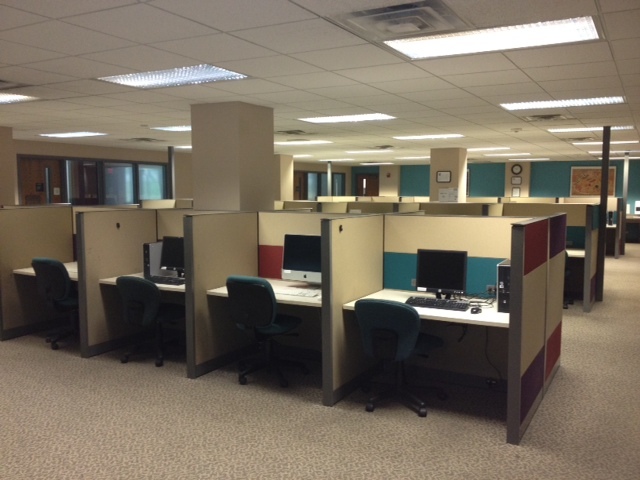 The Academic Technology Center (ATC) features an array of spaces and equipment for students to use. Chief among them are the lab, outfitted with approximately 50 well-appointed desktop computers, and the "courtyard," a space with a variety of seating options to suit just about any work style. The ATC also features a conference room which can be reserved for group study sessions, ITV classes, and conference calls. 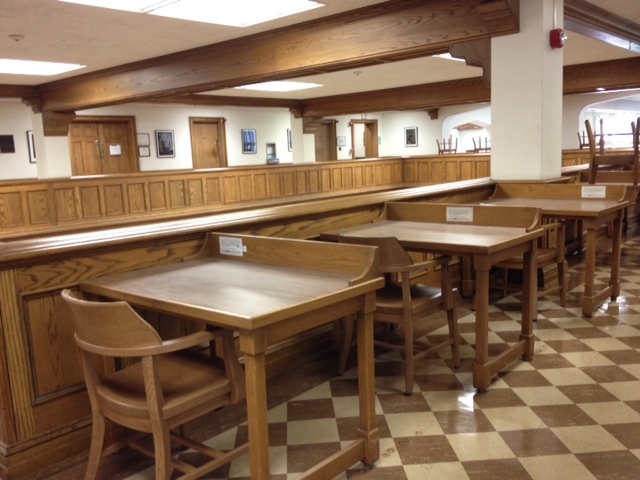 In addition to carrels and designated group spaces, there are many tables throughout the building where you can work. 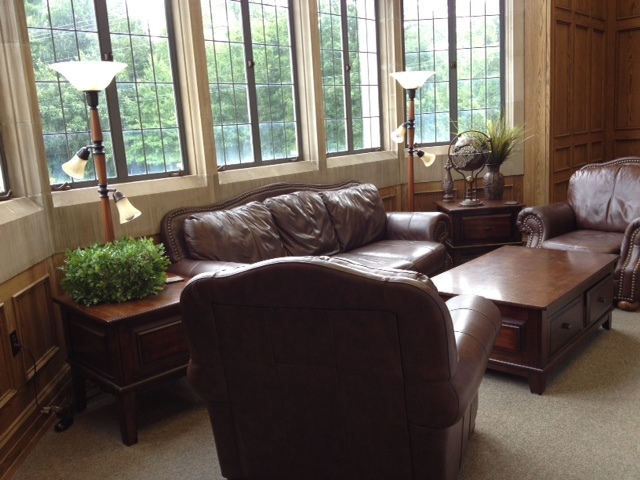 We also offer several more comfortable spaces where you can can read, work, or relax.